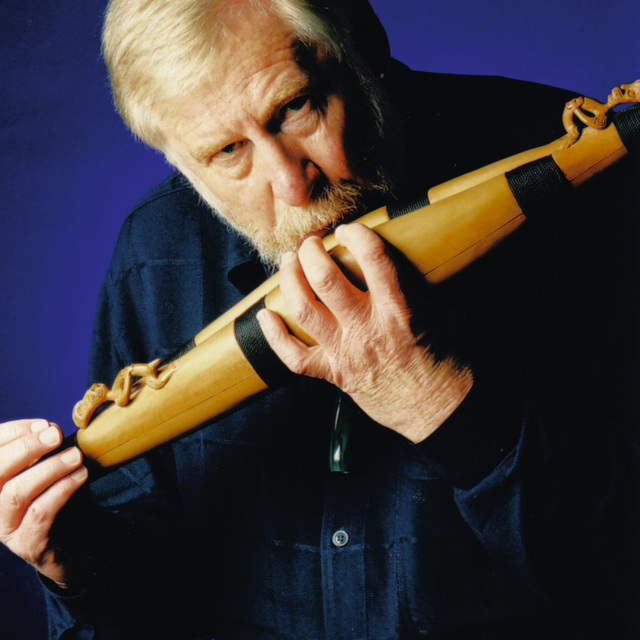 Richard Nunns is one of New Zealand’s most respected performers and researchers of Maori music and instruments. He has performed and recorded widely both within New Zealand and internationally and with a wide range of musical genre from Moana and the Moahunters, through jazz to the New Zealand Symphony Orchestra. Richard began his research and collaboration with Hirini Melbourne in the 1990s. Their recordings Te Ku Te Whe and Te Hekenga-a-rangi have become the seminal works of traditional Maori instrumental music. The unique and compelling voices of nga taonga puoro, the traditional instruments of the Maori, have attracted the interest of a number of New Zealand’s composers including Gareth Farr, Helen Fisher and Gillian Whitehead. Hine Raukatauri, by Gillian Whitehead, a weaving of two flute traditions in honour of the Maori goddess of flute music was given it’s world premiere in Atlanta in 1999 by Richard and Alexa Still and since recorded on Tuhonohono. He has been awarded an honorary life membership of the New Zealand Flute Association, and in 2001 was awarded the KBB Citation for Services to New Zealand Music presented by the Composers Association of New Zealand. In 2008 he was awarded an honorary doctorate by Victoria University, Wellington. 2009 was a special year for Richard – not only was he awarded a QSM (Queens Service Medal) for services to Taonga Puoru, he was admitted to the New Zealand Music Hall of Fame and became an Artist Laureate of the Arts Foundation of New Zealand. for taonga puoro and percussion. Co-composed with Mark Lockett.